Carrie. 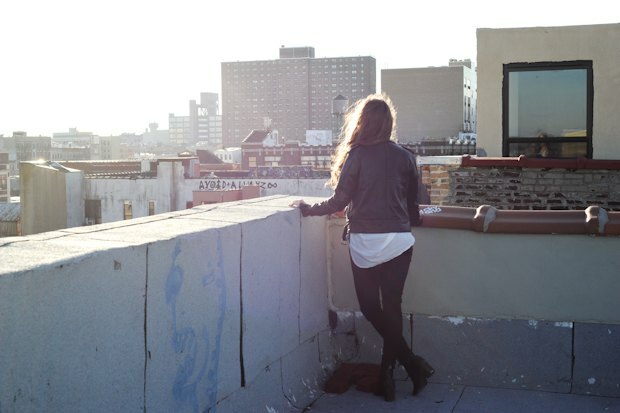 All photos by Maria Gotay for Bushwick Dailh. Ponyhof is the musical incarnation of singer, songwriter, and Bushwick loft dweller, Carrie Erving. 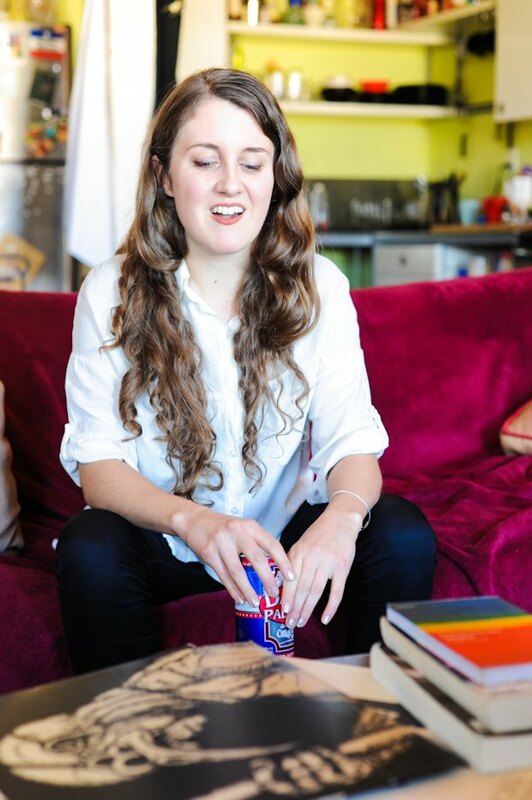 In the first ever edition of our newest column Upstairs Invite, Carrie welcomed us into her sun-dappled Bushwick loft to discuss her new album, Empires, and share some of her most influential belongings. Upon arrival we cracked open some Dale’s Pale Ales, began trading Roberta’s jokes, and soon Carrie’s laughter filled the jewel-toned space. Fresh-faced with plum-colored lips and billowing blonde curls, Carrie’s classic look matches that of her elegant sound. Like many of Bushwick’s most talented artists, you might pass her on the street every day and not realize she’s on the verge of some really big things. The long-haired beauty has just put the finishing touches on a very polished LP, Empires, an outstanding electronic / folk / pop / rock album that’s been in the works for years. The record, which drops on January 20th and was mixed by renowned DFA mixer Eric Broucek, features cameos from a roster of famed collaborators: Chris Loxley of Akron/Family, bassist Robert Sahm of Le Loup & Will Butler of Arcade Fire. Carrie weaves an intricate and profound tale, riddled with literary references and gorgeous, emotional stories that reflect not just her own life, but also the one we live collectively. Electronic drums provide a progressive backdrop for lovely keyboard melodies, whose sounds rise and fall around Carrie’s light yet powerful voice. The magic of Ponyhof is both delicate and energetic, lighthearted while also quite deep, fresh yet undeniably familiar; think St. Vincent meets Bjork atop flourishing dance beats. Life is not a pony farm, or is it? 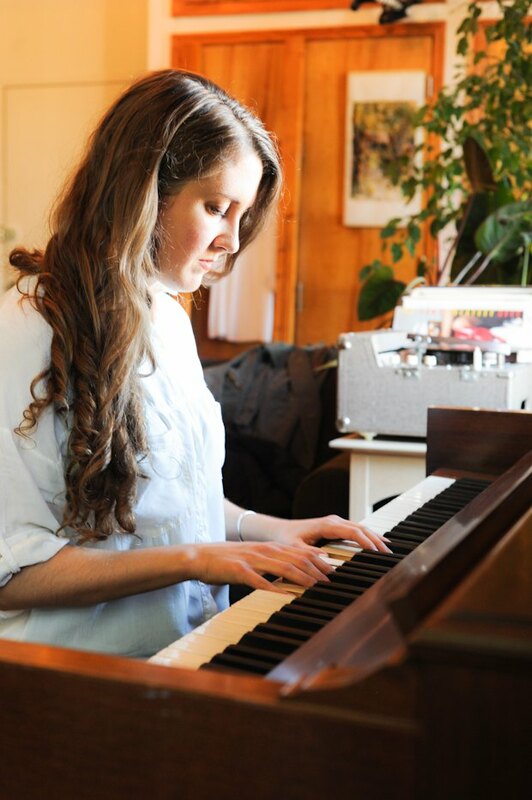 As she described to us, Carrie first began writing music as Ponyhof while living in Berlin, where she moved in 2007 and lived for almost four years. Although she moved to live with a friend, Carrie quickly fell into a “pretty eclectic, interesting group of musicians,” including “a lot of older, electronic, German musician” dudes. From there she began recording in a friend’s studio in Kreuzberg, embracing a new electronic element that she hadn’t experimented with before. 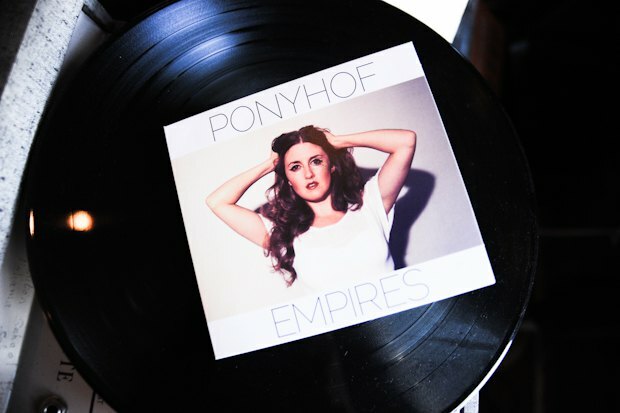 Ponyhof, her band name, is a German word that literally means “pony farm,” but it’s also used in the popular saying, “Das Leben ist kein Ponyhof (Life is not a pony farm).” Life certainly wasn’t easy when she moved back to the city a few years ago to focus on music, leaving her band behind to embark on a courageous solo mission. 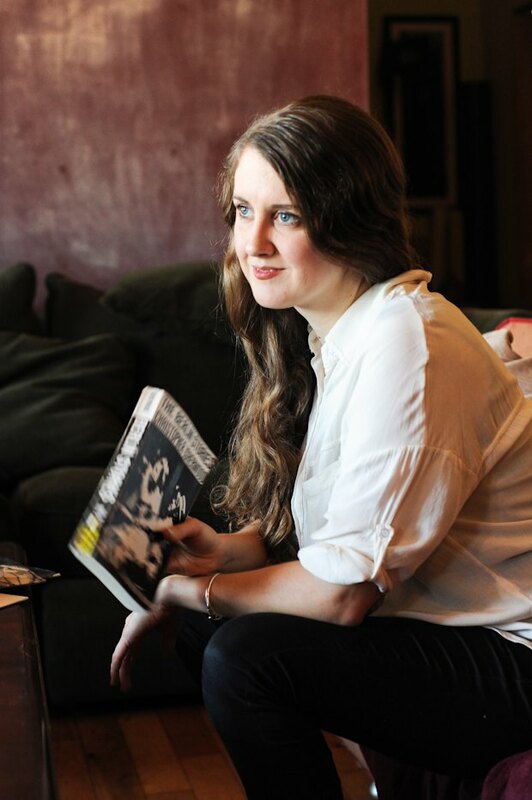 Of her time in Berlin, Carrie admitted that she misses the low cost of living and the city’s intimate cafe culture, which fosters “an organic sense of getting to know other bands.” In New York, as many of us know, it takes much longer to make connections, but the quality of music making is truly unparalleled. “The level of people working on music here is incredible, and I don’t know anywhere else you can find that,” Carrie stated. 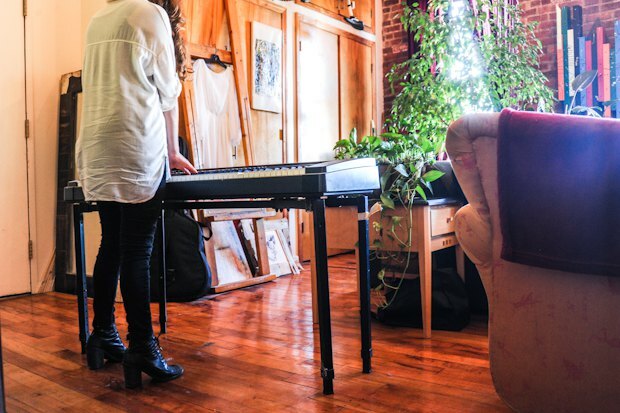 Back in New York, she found her Bushwick Artist’s Loft on Craigslist, a sprawling space with hand-built walls and plenty of plant life. 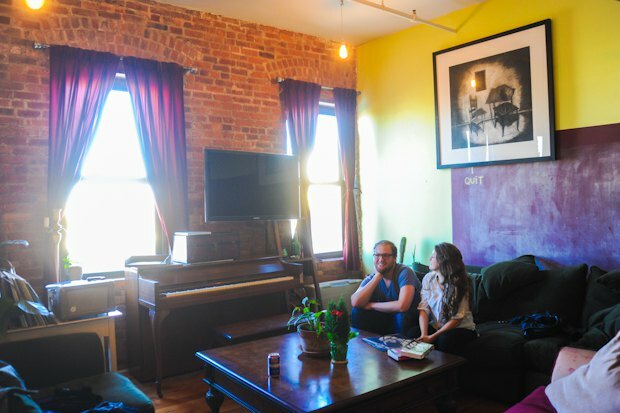 The apartment hosts an annual Bushwick Open Studios party (including this year’s Bushwick Daily-approved rager), so you may actually have stopped by Carrie’s loft at some point. 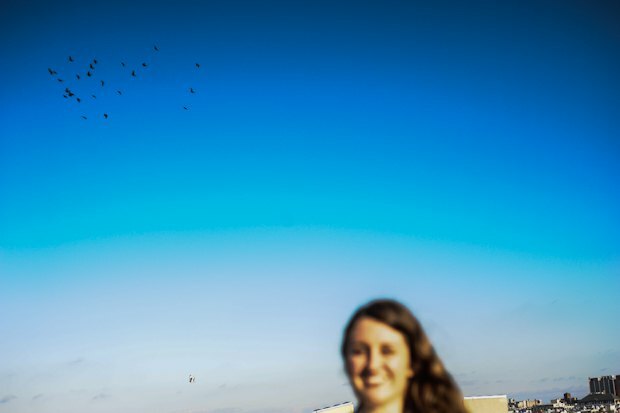 The rooftop of her building is a place she connects with immensely; there have been many concerts there, including performances from Ponyhof as a full band. Over the summer, we may have mentioned their annual rooftop bash as the best party of BOS, which we suppose could be why the uber-crowded gathering eventually had to be shut down by the cops. Oops-- sorry, Ponyhof! But we digress. 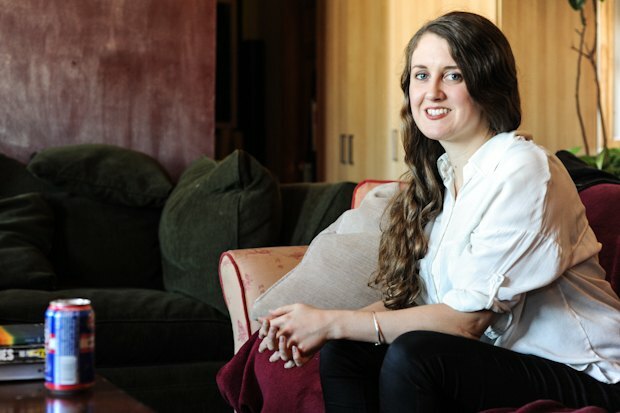 Comfortably sunken into her deep, velvety couches, Carrie showed off some of her favorite things, describing how they reflect her life and inspire her music. 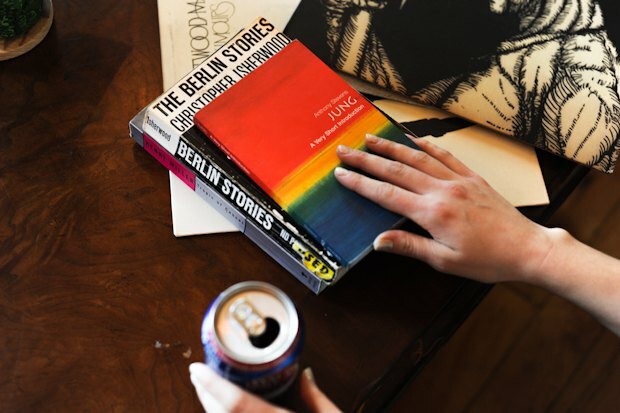 Another literary influence on Empires was Berlin Stories by Christopher Isherwood, published in 1945 and set during Adolph Hitler’s early rise to power. Of course, Berlin is one of Carrie’s favorite cities, and the place where her music was born. 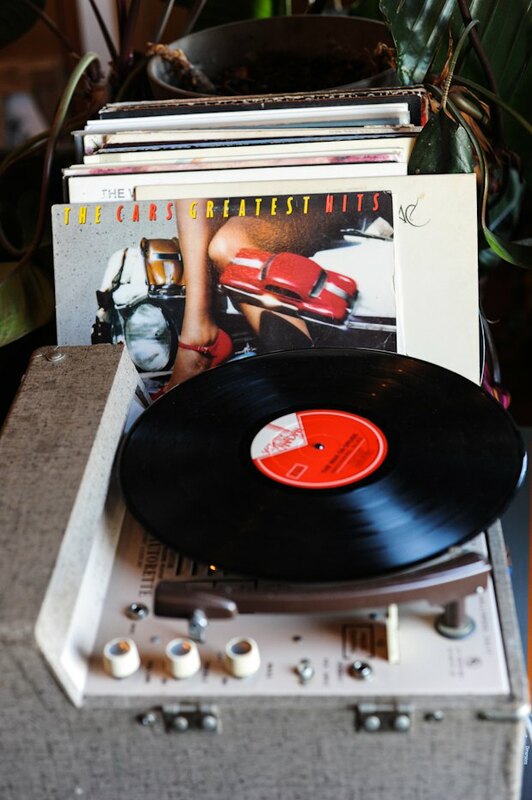 Among Carrie’s favorite records are Fleetwood Mac’s classic Rumours and The Cars’ Greatest Hits. The latter was the first album that Carrie ever listened to and has been with her ever since. “We’re totally gonna do a Cars cover!” she oozed. While performing, Carrie finds it important to wear clothing that helps her focus; ideally, she’ll wear something that feels “not just comfortable but helps me step into a different place... helps me get into [character],” she explained. 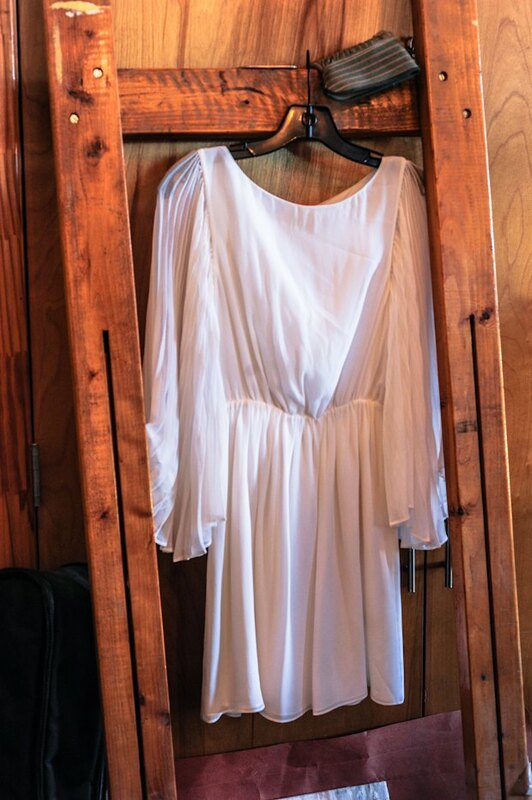 She likes the color white, jumpers and rompers, but the article of clothing she shared with us-- a brand new purchase-- was a flowing white dress, both angelic and modern. The story behind it? After seeing Patti Smith perform at The Met and spying her daughter, Jesse Smith, in the exact same thing, Carrie knew she had to have it. Not only did she find it, but the dress was on sale! Set against a generous wall of windows in Carrie’s apartment, there’s a “totally out of tune” piano that belongs to her roommate’s grandmother. She played for us a beautiful interlude before admitting that she’d rather be playing her keyboard, a giant monstrosity that she’s “can’t even pick up” and is nicknamed “The Beast.” With a bit of help getting it out, the instrument soon came to life. Just like her dress, the keyboard was also a lucky find; after returning from New York and running into an old friend from music school, who thankfully had “The Beast” on hand. 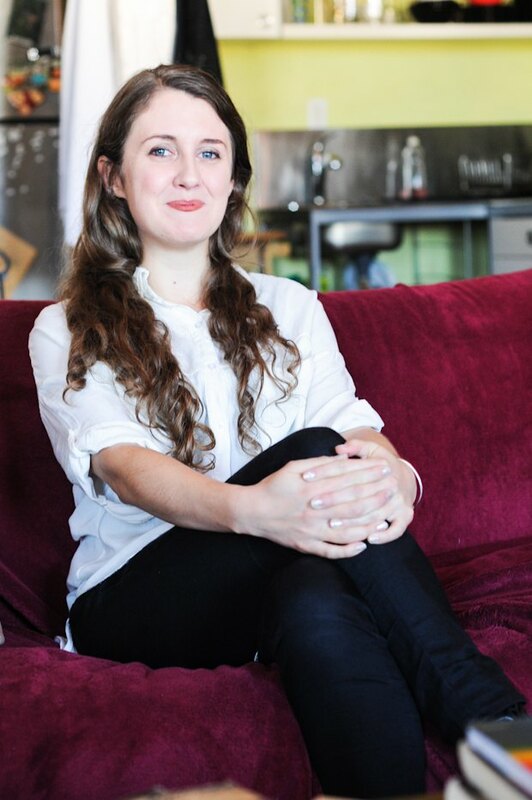 We have to give a big thanks to Carrie for sharing her personal story and belongings with us. 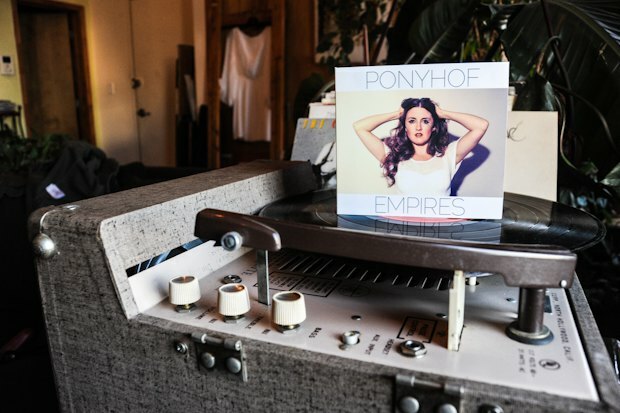 Keep your eyes out for her around the neighborhood and for Ponyhof's LP Empires landing on digital platforms January 20th. She'll be premiering the album at a record release party the same day at Glasslands Gallery with special guest Cassandra Jenkins. Upstairs Invite is a feature story illustrating the life of neighborhood musicians through their own treasured belongings. Interested in doing an Upstairs Invite for your band? Email mariaATbushwickdaily.com.